Odiorne initially began as a side project for original Mercury Rev member, Jimy Chambers, prior to his departure from the band in 1998. Combining elements of postpunk, jazz, and avant-experimentalism, Odiorne achieves a heady balance of sonic ferocity and melodic grace. Chambers is joined by Mike Bouquard on bass and field sounds manipulations and co-guitairst, vocalist, and synthesist, Kevin Corbett. Chambers credits as a songwriting contributor to Mercury Rev include the singles Something for Joey and the UK-charting Delta Sun Bottleneck Stomp. A propulsive force in the band, Jimy played all the shows that gained the band its early recognition and took part in the legendary live Harmony Rockets performance at the Rhinecliff Hotel. With Odiorne, Jimy has traded in his duties as drummer and now fills the role as guitarist, keyboardist, and vocalist. Toward the end of the Deserters Songs sessions, Chambers left Mercury Rev and recorded Odiorne's first EP, Want Them Leaving More, with Dave Fridmann. Released in 2001 on Everlasting Records, the disc received praise from Magnet and The Big Takeover and Odiorne was approached to tour Spain in support of Mercury Rev. Odiornes first full length, Heavy Wish, was released on File 13 Records (Matt Pond PA, Need New Body, The Silent League). Most of the tracks were recorded at Tarbox Road Studios under engineer and coproducer Bill Racine (Hopewell, Flaming Lips, Mates of State, Mercury Rev, Mogwai, Rogue Wave). The disc features guest arrangements and performances by Mercury Revs Jonathan Donahue and Anthony Molina, Jason Molina of Longwave, and Bill Racine. Upon the release of Heavy Wish, Salon.com praised the band for its "excellent orchestral pop", while Skyscraper called the disc a "nuanced, carefully crafted work that reveals more with each listen". The release of Heavy Wish was supported with touring of the US and Canada and also featured several appearances at the CMJ festival in New York as well as SXSW in Austin, TX. In 2007, Odiorne went on a hiatus to tend to matters other than music, although a promotional tour of the Czech Republic was arranged with performances in and around Prague, supporting Apse of Brooklyn. In 2008, Odiorne entered the studio to record a series of singles including "Mountain Moon" (2009). 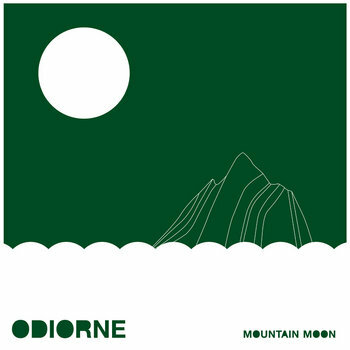 The Mountain Moon single represents a new direction for Odiorne that further explores the electronic and jagged sides previously ventured on earlier works. Jimy is back on drums for all studio recordings.